The closest beach is 300 m away. The property is 300 m away from the coast. The town center is 500 m away. Grocery store - 50 m. Closest restaurant - 100 m. Closest infirmary/hospital - 500 m. Closest public transport (bus etc) - 500 m. Airport - 100 km. Train station - 10 km. Ship / ferry port - 10 km. Nature park - 12 km. National park - 8 km. Instant booking unit Apartment type: A1. The apartment has 4 bed/s for adults. Capacity (adults) is (4). It has 3 stars. Apartment has 38 m2. It is on the first floor. Access for the disabled is not enabled. Number of bedrooms: 2. Number of bathrooms: 1. Number of balconies: 1. 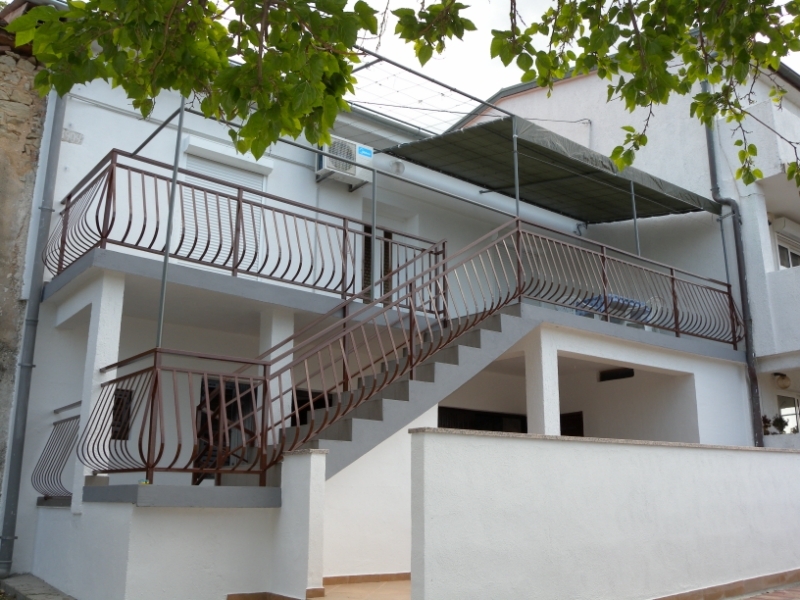 Balcony/teracce of the apartment has 25 m2. Features and equipment: seating set, partly covered, orientation sea side, sea view, panoramic view.